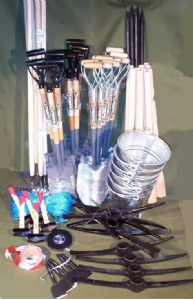 High quality and robust hand tools for all: latrine, pit, trench digging, ground preparation for foundations and road repairs. This kit is offered to support emergencies in the first phase and for programmes expanding into new project areas. These tools will be available to purchase locally but the time spent identifying suppliers and assessing quality may be more valuable than the cost of the kit. 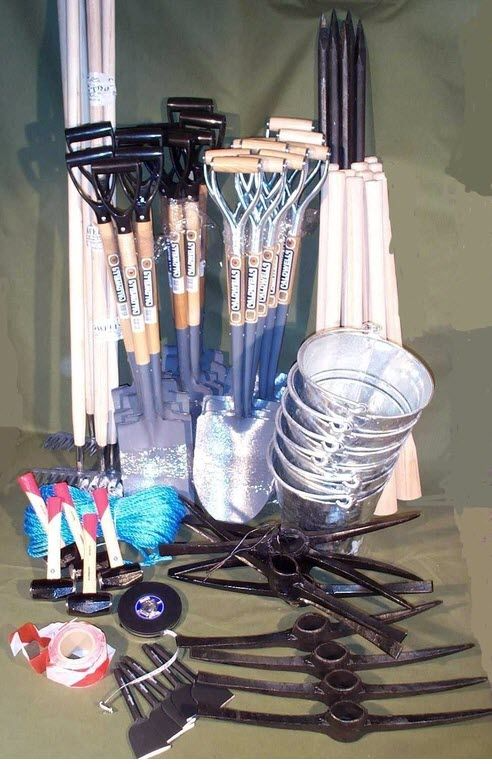 This kit is intended to provide tools required to set up defecation zones/fields/trenches or to start a pit latrine programme. In this scenario, one kit is recommended for the workers/volunteers to serve 5000 beneficiaries. Site fencing is used to isolate construction sites. It could also be used to mark out areas for defecation fields, at the start of an emergency sanitation programme. Latrine pits should be round and as deep as possible (up to 3m). Round pits are more stable than square or rectangular ones.